TALLAHASSEE, Fla. (WTXL) — The City of Tallahassee has won a bid for the Northwood Centre, purchasing the property for $6.8 million. Wednesday, the city officially purchased 33-acres and five outparcels after the two-day bid started earlier this week. The auction was expected to last three days. The city commission will discuss next steps for the property at its next meeting on April 24. 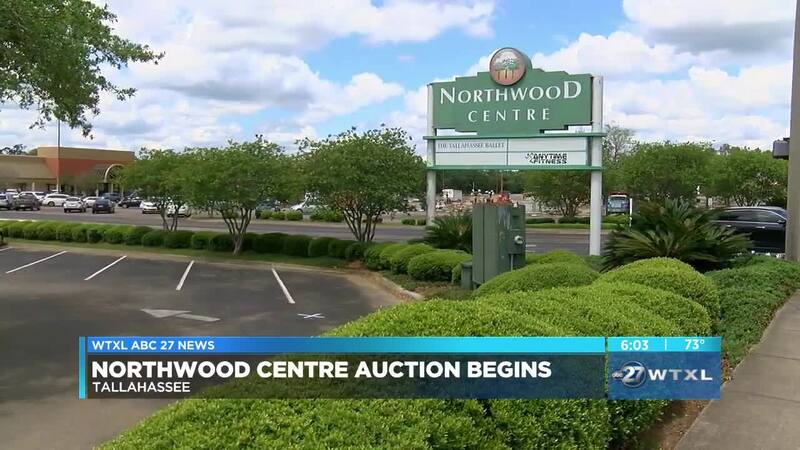 The auction has begun for Tallahassee's Northwood Centre and the city of Tallahassee is hoping to be the top bidder. Last week, city commissioners unanimously agreed to enter the auction, which has a starting bid of $2 million. Tallahassee Mayor John Dailey said the location is one of the most suggested locations for a new public safety complex, but that's just one way the city could utilize the 30 acres. Some people said the city made that decision without giving the public enough time to chime in. "The only people there to give public discussion or public comment was the people who were there for the agenda items, which I don't think that is the way this should've been done," said Bill Schack, former city commission candidate. The cost to enter the auction is $25,000, and set to last three days.